Srinagar, Feb 11: Alleging that divide and rule is BJP guiding philosophy in Jammu and Kashmir, National Conference (NC) Vice President Omar Abdullah said first the saffron party forced the people of Kargil to protest when they were denied a university and now in even larger numbers they are out demanding an equal share in the new division announced for the region. 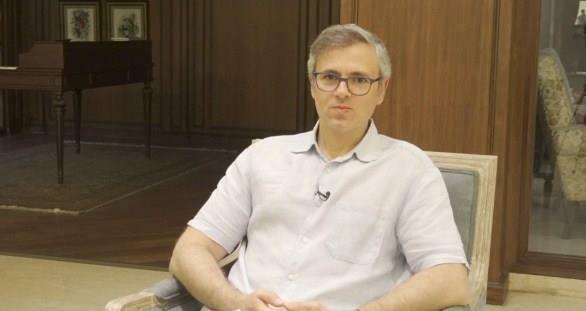 Mr Abdullah was responding to the state government setting up headquarters of newly created Division for Ladakh in Leh. “The BJP has taken a leaf out of British book. Divide & rule is their guiding philosophy in J&K - divide along religious lines, regional lines & linguistic lines,” Mr Abdullah, who is the former chief minister of the state, wrote on micro-blogging site twitter on Monday. He said the people of Kargil must be made equal stakeholders in the development of the region and that starts with being made equal participants in the new division carved out for the two districts. “First the BJP forced the people of Kargil to protest when they were denied a university & now in even larger numbers they are out demanding an equal share in the new division announced for the region,” he tweeted. On Sunday, hundreds of people protested in the border town of Kargil, demanding rotational basis headquarters, for the newly-created Ladakh division. The state government on Friday approved creation of a separate Administrative/ Revenue Division for Ladakh. “The division will comprise of Leh and Kargil districts with its headquarters at Leh,” said an official handout on Friday.